Korean Food meets Western Food. 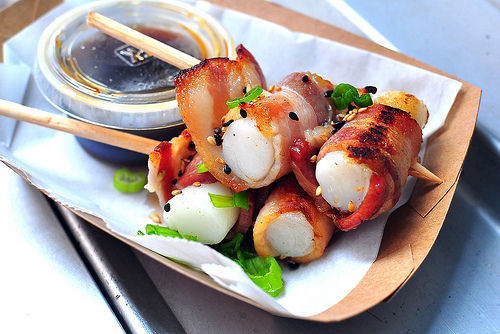 One of Korea’s favorite street foods, Ddoggochi (떡꼬치) which are skewered rice cakes covered in various sauces, meets Bacon. The bacon gives it a crisp and salty taste, as oppose to the soft texture of the rice cake, giving it a refreshingly new taste. 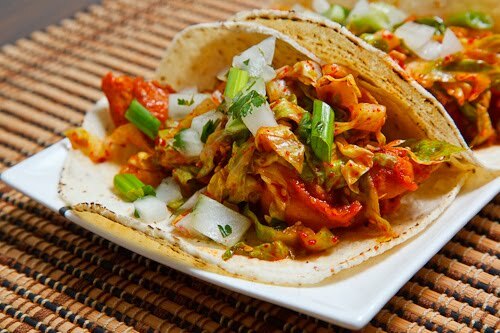 Traditional Mexican food meets a Korean traditional dish to create Kimchi Tacos. The punch of spiciness in Kimchi wrapped in either a soft or hard taco shell brings contemporary, new flavours to fusion foods. “Japadogs” has been around for awhile, but korean-style hot dogs is still fairly a new concept. 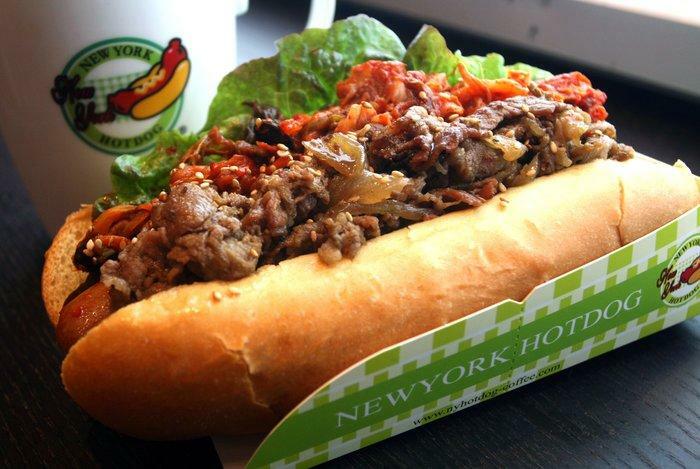 Kimchi Bulgogi hotdog brings bold new tastes as the mix of spiciness of the kimchi with the savory marinated beef in Bulgogi on top of a juicy hot dog delivers an instant mouthwatering taste. What are your thoughts on Korean fusion food? Do you know any other delicious fusion food? If so please share, on the comments below!